Rev. 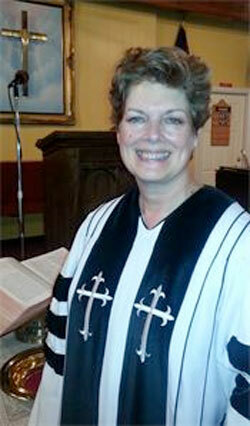 Dr. Turk is an ordained American Baptist minister. She grew up in Queens, New York and graduated from Queens College with a Bachelor’s Degree in Fine Arts, eventually working as a commercial sculptor. After hearing God’s call, she enrolled at New York Theological Seminary where she earned a Master of Divinity degree, and then Eastern Baptist Theological Seminary in Philadelphia, where she was awarded her Doctorate in Ministry to Marriage and Family. Please feel free to contact us at anytime with your questions or comments at 973-334-6002.